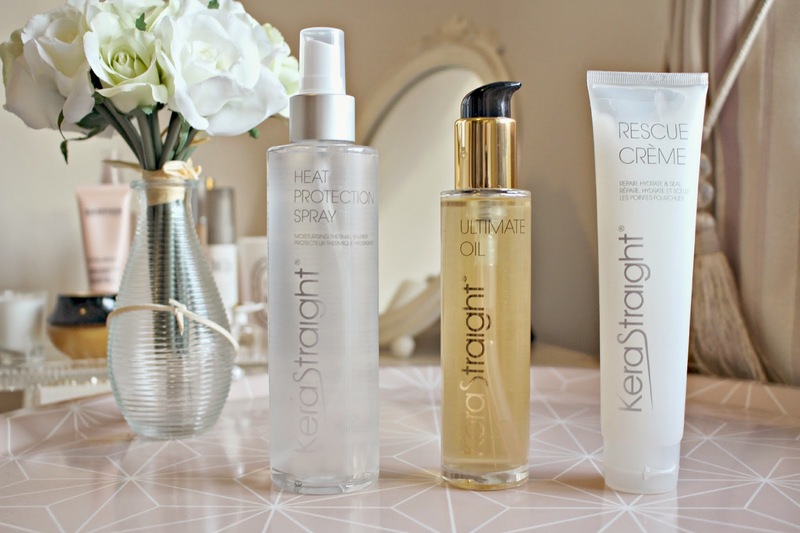 A few weeks ago, I was invited to try out the KeraStraight hair treatment at the Trevor Sorbie salon in Covent Garden; a treatment which promises to leave hair in perfect condition for months after the treatment, with no harsh chemicals. My hair isn’t overly frizzly and is naturally quite straight, so I didn’t expect to walk away from the salon with noticeably different hair. What I didn’t realise though, is the impact the treatment would have on my for weeks afterwards; no more knots or dry frizzy ends, a natural looking shine and smooth, hydrated feeling hair. KeraStraight also have a range of products including Keratin ingredients which have a natural ability to fortify the hair. The treatment rebuilds the keratin within hair that may have been lost over time which gives hair greater manageability and shine. In the Salon, my hair was first cleansed using water and a light shampoo before the protein mask was combed through and then activated using het from a blow dryer. The entire treatment was very quick, I was out of the salon in just under an hour, the longest part is the heating of the protein mask, which took around 40 minutes, after which hair is styled using straighteners and a hairdryer on the hottest setting which further activates the protein. The KeraStraight treatment left my hair incredibly soft and with a swishy swing which it had certainly never seen before! I was recommended an aftercare range of products (this is optional!) which are also great products to use if you want to achieve this kind of look at home. They include the Ultimate Oil, which rejuvenates dry ends and strengthens the hair shaft – it’s £30 from LookFantastic. Also, the RescueCréme which continues to build hair strength with protein and amino acids, £16.50 from LookFantastic. The KS Style Heat Protection spray coats hair with a heat activated conditioning layer, and enhances shine while locking in moisture. I think this brand will be used a lot more in my daily routine, a girl could definitely get used to having shiny swishy hair! If you’d like to try out the KeraStraight treatment, they are available in Trevor Sorbie salons, find your closest one here. Have you tried KeraStraight before? P.S – There’s still loads of incredible bargains to be found in my Blog Sale! Previous Post Sleek’s Budget Brows!